Mr. Chang Kyu Kim, Minister-Counselor for Trade, Industry & Energy at Embassy of the Republic of Korea, presented on a topic, titled “Korea Trade and Industrial Policy,” covering various points including recent economic trend, new industrial paradigm, key industrial policy direction, market expansion by free trade agreement (FTA) platforms, etc. In particular, he discussed that we are seeing change in the industrial paradigm, moving from industrial revolution (offline), to information revolution (online), and to smart revolution (offline + online, internet of things and convergence). “Smart revolution” can be characterized by three terms: connected (IoT), flexible, and electric. “Connected” refers to development of new products and service markets based on hyper connectivity, e.g., smart factory, smart home, smart transportation system, etc. “Flexible” refers to development of innovated products and goods based on mobility and intelligence, e.g., bended watch, rollable TV, smart clothes, etc. “Electric” also refers to emergence of new energy industry and business models, e.g., renewable energy, electric vehicle, negawatt market, etc. He also talked about Korean government initiatives for key industrial policy direction, with focus on building of innovative capacity of enterprises (e.g., battery, OLED, semiconductor, etc. coupled with business creativity, and building of smart factories). Korean government identified thirteen new growth engine projects for the country, in an effort to create new markets and ecosystems as well as revitalize manufacturing industry. Mr. Kim also discussed how Korea has been using Free Trade Agreements (FTAs) to create new markets and new opportunities for Korean enterprises and economy. In addition, Mr. Kim briefly discussed how Korean enterprises are becoming knowledge exporters (e.g., system knowledge, know-how, operation and maintenance, etc.) in recent years, rather than mere manufacturers of goods. 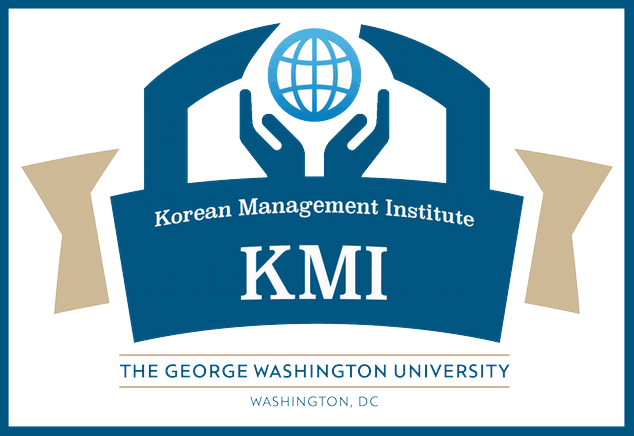 The next KMI Seminar Series will be hosted on December 11, 2015 at GWSB.